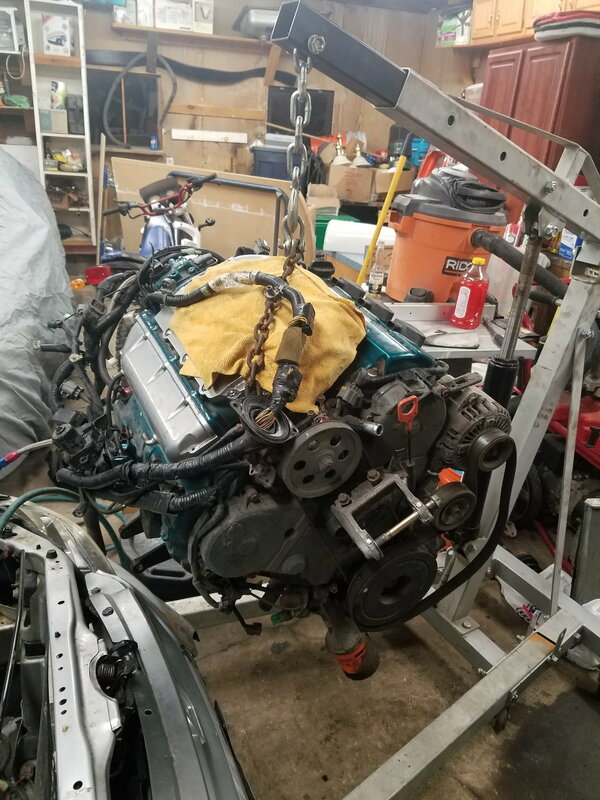 Good day my Acura Owners, I'm back at it again this time I'm removing my old base CL engine and automatic trans to upgraded with a type-S motor and 6SPD trans. The engine was installed in a previous 01 Honda accord coupe automatic, that was swapped over to the 6SPD Type-S. So Im just taking the engine, trans, exhaust , ECU, Front type-S brembo calipers, possibly the knuckles, engine harness, axles ( including the half shaft). I started the the tear down on Friday 11/9/2018, All the parts are going to sit till its gets warmer then we are installing the rest of the parts, Please correct me if I'm wrong but I was told online the being that I own a base 3.2 CL, that I will have to a type-S Speedo cluster ( weather auto or manual) for the motor to function with the speedo gauge properly? I will update everyone on this build as I will include picture and all. Please chim in if anything come to mind that I will need to do to make life easy for this install. Or anything I might have over looked. Please correct me if I'm wrong but I was told online the being that I own a base 3.2 CL, that I will have to a type-S Speedo cluster ( weather auto or manual) for the motor to function with the speedo gauge properly? Let me qualify the following with the statement, I've never done a 6-speed swap because I have a CLS6. However, logically though, in addition to the Type-S cluster, preferably one from a manual because you are swapping to a 6-speed, and more importantly, unless you are prepared, with electrical schematics between an 01 CL base and Type-S CL, to redo/troubleshoot wiring/electrical 'gremlins', I would think that you would also need the manual Type-S instrument and dashboard wire harnesses to get it as close to 'plug n play' as possible. Taking a quick look at the part #'s between the 01 accord coupe auto, 01 base CL auto and the 03 CLS6 manual, they are all different. 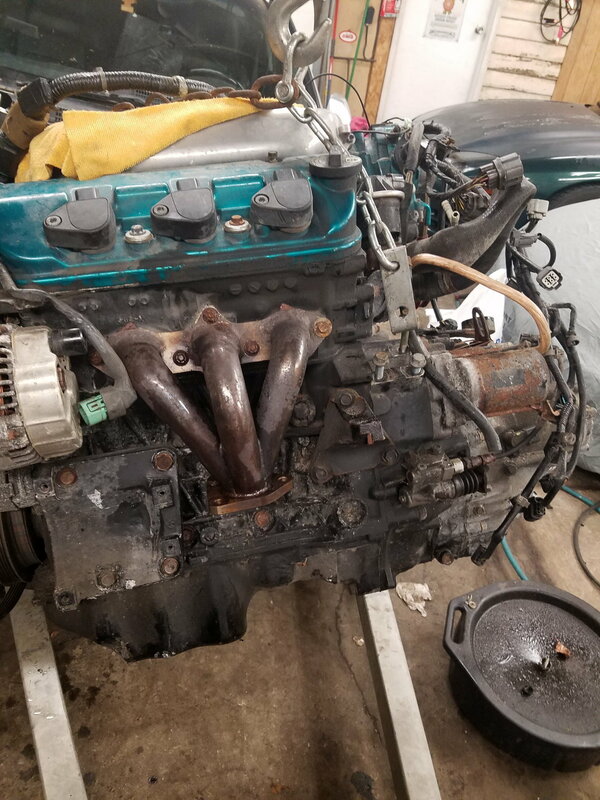 In addition, a couple TL members who performed the 6-speed swap had found that their cluster gas gauge functionality had to be addressed because it did not work, so that may be one problem that will come to light for you as you near completion. Last edited by zeta; 11-11-2018 at 05:59 PM. Here's another pic of the engine removal. that motor needs to be pressure washed and touched up. the shifter box was fun to remove, the whole removal process was not that bad. The install should be the same. I have the original ECU fir that motor and trans. Hopefully everything besides programming my cl Vin to the type-s ecu should be easy. The donor car was a wiring mess to begin with, car alarms wires all over the place and the same for the radio with was probably installed by toys r us. I will continue to keep everyone posted on this install from start to finish. MOTOR SWAP 3.2 to 3.5 , DIRECT SWAP?? Is it possible to swap a regular T.L motor to a TYPE S motor?? ?